We recently announced Paystack Starter Businesses, a merchant tier for businesses who'd like to validate their ideas with real customers, without needing a corporate bank account or company registration. While Paystack Starter Businesses enjoy almost all the same benefits as Registered Businesses, they don’t have access to the Paystack Transfers feature. Starter Businesses also have a 2 million Naira collections limit. To remove these limits, Starter Business merchants will need to submit additional documents, including company registration documentation, and this is where DIY Law comes in. Thanks to a partnership between Paystack and legal startup DIY Law, Paystack merchants will enjoy a discount towards the cost of completing their company registration process with DIY Law. 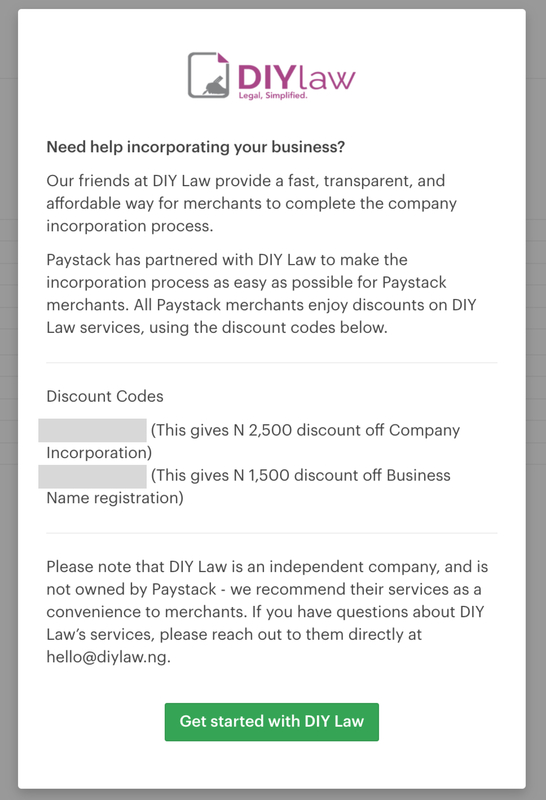 Paystack has partnered with DIY Law to make company incorporation for Paystack merchants fast, easy, and affordable. 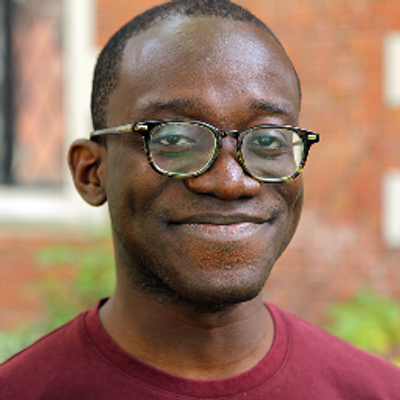 DIY Law provides a transparent, simple, and affordable avenue for merchants who want to incorporate, but lack the time and knowhow to navigate the process by themselves. In addition to company incorporation, DIY Law is able to help with a whole range of legal services, such as Non Disclosure Agreements, TIN/VAT Registration, Registered Entity Search, and much more. 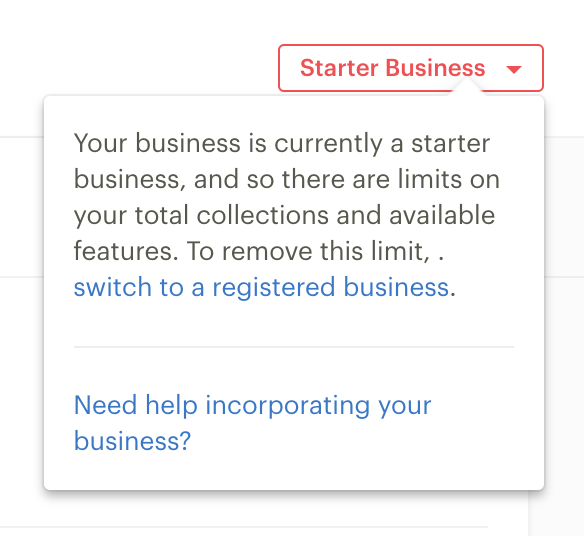 At the top right of the Dashboard, Starter Businesses will see the following dropdown. Clicking "Need help incorporating your business?" pulls up a modal where you'll be able to see the discount codes. Our partnership with DIY Law is the first of a series of efforts to make the incorporation process as painless as possible for growth-minded businesses. Stay tuned for more!